One of the characteristics of the Vienna Philharmonic, organized formally as a private association, is its democratic self-management, with officials elected by the general assembly being responsible for all management issues, in addition to their duties as musicians. 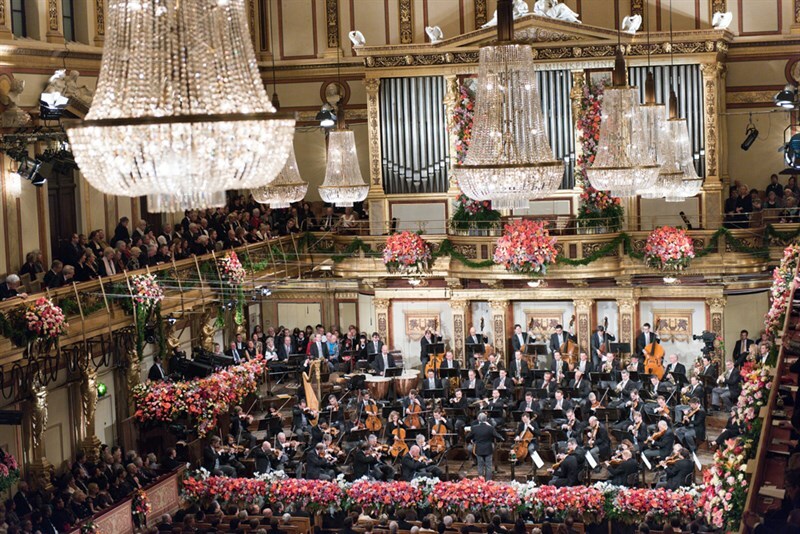 A central concern of the Vienna Philharmonic is to touch the hearts of people. This obviously includes its music but also extends beyond that. The Vienna Philharmonic is involved socially, both domestically and abroad, by means of numerous benefit concerts, substantial monetary and lasting material donations (such as musical instruments) and by sharing their knowledge with younger generations. In São Paulo, the Vienna Philharmonic invited local children and teenagers to attend a lecture and rehearsal. In return we were invited to learn more about a social project of the favela Monte Azul. The orchestra began to play and a shiver came over me as I saw how lightly the bows touched the strings and how the sound captivated everyone there. I closed my eyes in order to feel the vibrations and I was thrilled in many ways - even the pizzicato were wonderfully tender. First off, I would like to express my gratitude for the the instrument which I received from violinist Jun Keller. For me, this is more valuable than all the gold in the world. I am very grateful that this violin has come into my life. When I play it, I grow outside of myself. It sounds so beautiful it seems as if I were flying. [...]The entire hall was full of young people at our open rehearsal. The children from the Favela Monte Azul invited us to visit them and 40 of us came to learn more about the institution and listen to a rehearsal of the youth orchestra. The applause did not want to stop and many of us were deeply moved. In October 2016, members of The Vienna Philharmonic performed a special “Concert for Children” at the world-renowned Suntory Hall in Tokyo. As a part of the Vienna Philharmonic & Suntory Music Aid Fund, the “Concert for Children” series began in 2012. Since then, Vienna Philharmonic members have regularlygiven concerts for children and their parents in the areas affected by the March 2011 Great East Japan Earthquake and provided the next generation with music education which aims to invigorate not only the affected areas but also all of Japan through music. Integration ist immer wesentlich, wenn es um ein gemeinsames Wirken geht; ganz gleich ob es sich um Musiker in einem Orchester, um Einwohner innerhalb eines Staatengefüges oder um Mitglieder einer Interessensgemeinschaft handelt. Die Wiener Philharmoniker möchten einen aktiven Beitrag zur Integration leisten und haben beschlossen dem Diakonie Flüchtlingsdienst den Ankauf eines Asylhauses für Flüchtlinge in der Marktgemeinde St. Aegyd im Bezirk Lilienfeld in Niederösterreich zu ermöglichen. In vier Monaten sind durch die Wiener Philharmoniker genug Spenden gesammelt worden, damit nun in St. Aegyd am Neuwalde die Flüchtlingsunterkunft entstehen kann. Die Umbauarbeiten haben bereits begonnen. © Terry Linke ≡ InfoNeujahrskonzert 2015 mit Zubin Mehta | + Zoom In connection with the New Year’s Concert, approximately € 2,5 million have been donated since 1999, of which about € 1 million have gone to "Licht ins Dunkel". 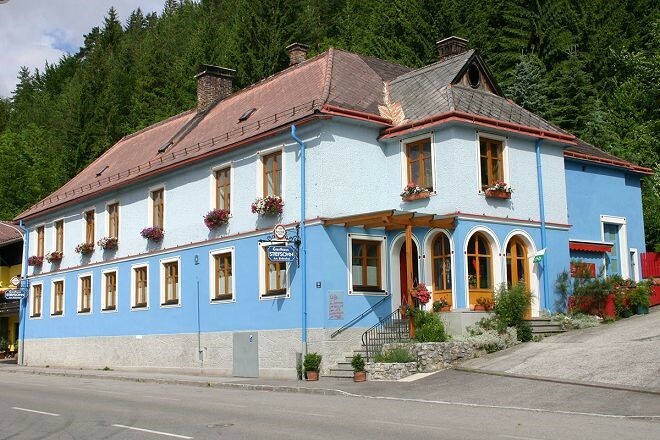 Since the year 2000, €100.000 from the proceeds of the Preview Performance (the concert on Dec. 30th) are donated annually to "Licht ins Dunkel". Further donations have been made to the Red Cross, Amnesty International and victims of land mines. In the field of medicine field, the Vienna Philharmonic has supported the "CS Hospice Rennweg" since 2001 with charity concerts. Live music as a form of treatment constitutes a special type of involvement: Members of the Vienna Philharmonic play in hospitals for seriously ill patients, in order to positively influence their quality of life. The Vienna Philharmonic’s support of Juan Diego Flórez’ foundation in Lima, Peru for musical education of children constitutes a combination of multiple activities. 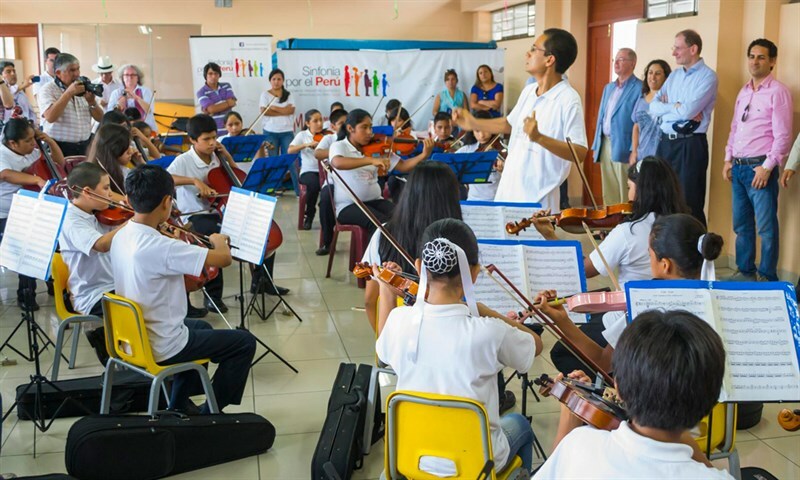 In 2012, the Vienna Philharmonic assisted the Sinfonía por el Perú with the donation of instruments. In 2013, the orchestra assumed sponsorship of the Sinfonía por el Perú and sent musicians to Peru for master classes in order to prepare "William Tell" with the young musicians of that orchestra.